It goes without saying that extreme caution needs to be exercised while driving. There are some things that cannot be emphasized enough. Every time you set out with your car, these points have to be kept in mind. Here are some things that will help you have a safe ride. Do not Drink and Drive: Drinking and driving do not go hand in hand. Your senses become fuzzy and you are too distracted to pay heed to traffic rules. If you are going to a party, make sure that there is someone with you who will be able to drive you home if you are too drunk to drive yourself. Or at least, come home in a cab and leave your car. Bring it back the next day. Losing a car is surely loads better than losing your life! Keep Headlights On: While driving in the dark, always keep your headlights on. The street lamps might be burning but another car will know your position from your headlights. Similarly, always keep your fog lights on when you are driving in snow or rain. Visibility is a matter of concern at such times and fog lights will improve it. If your headlights or taillights are broken, be sure to repair them immediately. Do Not Speed: Always start well ahead of time so that you do not have to speed. Most of the accidents that occur on the road are a result of speeding. Not only will you break traffic rules and land up with a ticket, but you will be a source of concern to yourself as well as to the others out there on the road. Make Rental Enquiry: Monthly car rental in Brampton is a wonderful way to travel when you do not want to take your own car. But make the necessary enquiry about the condition of the car, or if there is a chauffeur, then conduct a background check. Make sure that there is insurance and if there is a contract, go over them meticulously and clear any doubts before you take the car. Maintain your Car: Maintaining your car is one aspect that it is in your own hands. Check the gear shift, the brakes and the tyres regularly so that there is no concern regarding the question of safety. A simple check from time to time can save major hassles in the long run. The very first reason for people using rented cars rather than owning one is the average rate of depreciation of a car. This means, the value of your car starts falling right from the moment you buy it. Whether you are using it regularly or it is sitting idle in your garage, the value of your vehicle starts falling. Last year’s review claims the average rate of depreciation is accepted to be 20% in the first year of purchase, reducing to approximately 15 % in the second and third years. This is one of the main reasons for many people to opt for using a rented car, where you only pay to use it. Choosing a good Car Rental Service can be frustrating and exhausting, with varied options available online and their offers and services. Things get easier if the search is narrowed down to the important factors to be considered. The cars available – The larger the company, the larger their fleet. Discuss, your need for the car, whether you need it for leisure trip or for work, whether you’d be travelling alone or with a huge group of people, the kind of road you’d be travelling on. The availability option to suit your needs is the primary factor for choosing a rental service. The rate of rental- after the choice, the rate or the cost is very important in making up your mind about the rates they offer. Deciding factors like extra costs of personalized pick –up and drop-off time, the rate per hours and bulk hour facilities usually vary from one company to another. Added benefits offered- Check on the internet about discount offers, loyalty programs; search on the internet for travel coupons and promotional codes, b each car rental service providers to cut down on your cost. Also check if you need to pay for insurance, try and avoid it. Conditions of the cars available – This is another serious issue to be considered. The vehicle that you’d be using needs to be “in best of health”. A good company would have an inspection report validating the condition of the cars. Customer friendly service- a good rental service should be open about their offers and should be flexible to meet the need of their customers. So, make the call, make an appointment, discuss openly, read the fine print and book your wheels in advance to avoid too many complications. Whether travelling abroad for leisure, or from your home to work, a rented car can be a better option than to wait for public transport or having to pay for a cab. Booking a car is easy, but the procedure can get complicated, so there are few facts that need consideration before selecting the right Rented Car Service Provider. The size of the car you need. If you are travelling with your family, you will need a SUV. A small car would do if you’re travelling alone or with friend/s. The right seating capacity is an important issue for the passengers. Decide on the type of car you need. Along with the seating capacity, the terrain you’ll be covering is a deciding factor of the choice of car. Travelling to mountains or just within the city requires completely different kind of cars. The comfort and convenience you are looking for. The luggage capacity (whether required), the wiggle space helps in choosing the type of the car that you might want. Your pocket – how much you are willing to pay is your choice depending on your preference. Keep a budget, because you would also need to pay for the fuel along with the rental fees. Find out the names and numbers, online or by references, of the Car Rental Service Providers in your area or the place you are planning to travel. Find out their rates, compare, and look for promotional discounts and vouchers. #2 whether you need to buy insurance. Often your own car insurance policy covers the insurance of rented cars. Do not buy insurance from your service provider, unless required as it raises the rate considerably. #4 Ensure about the working condition of the car. The car should be in excellent condition for driving, engines and valves checked, thoroughly cleaned, to avoid breakdown and other mishaps while traveling, saving time and money. You cannot totally rule out car rental disasters, at least take care to lessen the impact by being alert. There are many questions to be answered while making your choice of the appropriate Car Rental Service to suit your needs. These questions come up every time one comes up with a need to rent a car, and can be stressful and are anything but straightforward. Here is a list of Car Rentals Do’s and Don’ts to help your prepare for your next trip. Travelling require comfort. Cramping too many people in a small car, travelling for long hours in a car with very little leg space, choosing a luxury car to travel through the rugged roads of a country side, or traveling with luggage and not having space to store them can make your trip very stressful. Decide upon the choices of an environment friendly vehicle and an auto transmission one, depending on the country you will be travelling and its norms. Smaller companies focus more on the customized customer services than the larger one. Though the larger ones might have a bigger fleet, the small companies offer lower rates and discount, cutting down your cost. The overhead cost of bigger companies is added on the rate of rent. Read the terms and conditions carefully, ask your agent about any restrictions. Whether there is a fee for additional driver, if they charge for drop-offs and pick-ups. Read through the fine prints and search for any hidden costs, other than the rent. Also, get a confirmation for reservation. Small companies usually do not claim for minor damages, but a pre-rental inspection is important for dents, chipping and scratches, so that you don’t have to pay for it while returning. Unless you are sure to return the car with an empty tank, opt for fuelling the car yourself, than having them do it for you. Find out from your own insurance agent, whether you are covered by your own car insurance agencies coverage or any other insurance policies. It is better, not to buy insurance from your car rental service, as they are charged exorbitantly. A last minute reservation will increase your cost. Booking early means more availability of cars, a wide range for selection and better rates. When you’re traveling abroad, a car rental service is the best way to see the places around if you wish to avoid last-minute rushes and enjoy traveling in your own pace. While car rentals are easily available, you need to be careful while booking one. Here’s a list of the things that you must do (and must not do) when booking the services of a car rental. Avoid renting a car right at the airport since most of the times, there are additional charges associated with such services. Instead, check with your hotel if they provide shuttle services for their guests. To be on the safer side, we suggest that while looking for a hotel, you keep in mind such value-added services and then book your hotel accordingly. While at some places, car rental insurance is mandatory, at other places it might not be so. Also check if your car insurance company covers rental cars. If it does, you wouldn’t need to get insurance from the rental company. Again, if you’re using a credit card to pay for your rental, it may have an insurance too. It’s advisable that you discuss with your car insurance and credit card companies to understand if you need additional insurance. Never drive away without checking any rental car thoroughly. Look for any damages inside as well as the outside of the vehicle. If overlooked, even a minor damage can lead you to pay additional charges when you return the car. To avoid this it is always suggested to contact a reputed car rental service provider. Before you return the car, you must refill the gas tank or else you are liable to be charged by the rental company. Know the exact time for returning the vehicle and stick to that particular time. Any delay will result in added charges. Minivan is the most spacious type among 7 passenger vehicles. In fact, their design is meant to fulfill this purpose. These vehicles offer comfort and lots of cargo space so if you have a really big family, a minivan is your best bet. While 7 passenger van can be easily spotted anywhere in the city, their full potential is uncovered during off-road driving. An SUV is just the thing for you, if you wish to go driving on rough terrains more often. If you’re looking for a big car yet want something that saves you on fuel costs, a minivan should be your choice. Known as the most fuel-efficient option among 7 passenger vehicles, a minivan is also a more Eco-friendly choice when compared to other vehicles in its class. Due to it’s height, an SUV offers greater visibility and hence greater safety. It can also withstand any road condition. Moreover, its weight is yet another factor improves the handling especially in adverse weather and road conditions. Their capacity to tow other vehicles is also one of the reasons why 7 passenger vehicles are so popular. You really can’t deny that SUV scores high on the coolness factor. In fact, this is one of the reasons why many car lovers crave for an SUV. 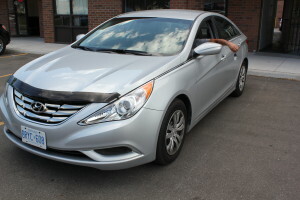 For more Information on booking a car for rent or info about prices call us 905-458-7770 or you can contact us. You can also drop a mail to us. If you’re on a vacation, a car rental service is something you can’t do without. While renting a car ensures that you tour around in comfort, it also gives you a lot of freedom and flexibility in planning your trips the way you want. However, car renting can be a difficult issue if you’re not aware of certain practical aspects of it such as – how to pick the best deals or how to select the right rental service. Here’s a roundup of top 4 tips that will help you with booking a car rental service. Read on. Choose your vehicle wisely. First of all, check the size of the car before renting so you can be sure if it’ll accommodate all people accompanying you. For a large group, an SUV, minivan or a crossover is a perfect choice while for a couple or a group of 3 – 4 people, a small hatchback might be enough. It’s always advisable that you choose a car rental services that’s fuel-efficient since this will save you on your rental as well as fuel costs. It’s always best to shop around before zeroing in on any particular car rental service. Read reviews, booking prices and testimonials on the company’s website or check their ratings on popular travel sites. Make a list of the 5 best service providers that you could find and call them to learn more about their services. Compare the prices of rental services online. Also search online for coupon codes that a rental service might be offering. Also check well-known travel sites for any discount that’s on offer on car rental services. Don’t forget to ask your credit company or your employer if they offer any cut-back on car rentals. Before hiring the services of a car rental, it’s important for you to know every small detail regarding their rules and regulations to avoid any such circumstances where you might have to pay additional charges later. Why To Be Cautious Before Renting A Car? Car rental rip-offs happen all the time. Although it is tough to avoid them altogether, you can at least take care to lessen the impact by being alert. “During my trip to New York last week with my friends, I rented a Minivan to take us to the hotel. We got into the Minivan at the airport and were supposed to return it the next day to a place 20 minutes from the hotel. After a good online search, I zeroed in on this car rental service provider. Even though their prices weren’t very impressive, they were pretty competitive. Instead of calling the car rental office and finding out whether the Minivan could be left at the airport, I thought it could obviously be done for a small charge. That proved to be my biggest mistake. This is the reason why you need to be extremely cautious while renting a car. Do a thorough online research. Browse through as many websites on car rental as you can and compare the facilities given by each. Go through the rules, regulations and price charts carefully so that you are not taken for a ride by hidden charges later. Which Car Rental Company Should You Book With? Do your ground work well. And then decide which company to opt for. Xceed Car Rental offers a good service at reasonable rates, and without any additional charge. 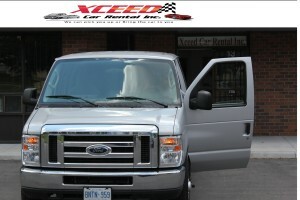 You can book with Xceed Car Rental to have a pleasant experience renting 7 passengers or 8 passengers Minivan. The suburban city of Brampton is a major hub of economy, and information and communication technologies in Canada. Once the seat of a massive greenhouse industry, it has developed into a noteworthy tourist destination. Brampton hosts an innumerable number of vacationers throughout the year. An excellent network of highways has been designed to help visitors move to and from different directions. At Xceed Car Rental, we do our best to get you the best car on rental in Brampton for traveling comfortably to places of tourist interest. You can call us anytime of the day for a car rental in Brampton, we provide 24*7 car rental services. This large expanse of land was obtained in order to build a flood control dam and reservoir after the destruction caused by Hurricane Hazel in 1957. Situated on the west branch of the Humber River in Brampton, Ontario, The Claireville Conservation Area stretches across an area of 2100 acres. Clairville, comprising sites of both natural and cultural significance, is owned by the Toronto and Region Conservation Authority (TRCA) and is a chief tourist attraction in Brampton. Located at the Brampton Airport in Caledon, Ontario, this aviation museum is famous for making and maintaining flying replicas of World War I aircraft. These aircrafts were constructed keeping in mind their historical importance and original structure. However, changes have been made to keep up with the demands of the modern times. More powerful engines were added to the new machines as they would cover very long distances. The spring-fed artificial lake is a famous destination in Brampton. With an area of 65 acres, Professor’s Lake is used extensively for water related activities, which include windsurfishing, fishing, sailing and canoeing. The Recreational Center located on the southern side of the lake, complete with a beach and waterslide, is a popular haunt for swimming enthusiasts. Your best friend is getting married in two days. You plan to hit Toronto with six other college friends of yours for the occasion. The car you need has to be spacious enough and comfortable for all of you, yet not burn a hole in your pocket. All the car rental companies you contacted so far failed to give you what you asked for. Since you do not have much time for the D-day, you need to have the perfect solution right away. Getting jittery? What would you do now? Relax. As long as Xceed car rental is around, you have no room for worries. We offer optimum quality cars on rent at the most affordable rates. Client satisfaction is of utmost importance to us, which is why we have designed our prices so as not to exceed your travel budget. We are always prepared to help you find the perfect car. Choose your favored car from our huge fleet of vehicles, whenever you fancy. We stay awake 24*7 so that you can rent a car at any hour of the day, be it early morning or midnight. Go online or simply call us to reserve a car. Let our friendly staff know when you would like to be picked up from. We can also reach your location in case you cannot come to us. We offer all of these and more at the minimum rates, making us one of the most loved car rentals in entire Southern Ontario. We have come up with a delightful range of packages and discounts to help you cut down on your transport cost. Our daily, weekly and monthly packages with huge discounts let you have the ride of your lifetime!